With over a century of knowledge and experience, our factory trained and fully certified service team provides customers with a tremendous resource for both planned maintenance and break down repairs. Whether your equipment is serviced on site or in our fully equipped service facility, our focus is on safety, ensuring that your units are in safe operating condition. Helping our clients with equipment maintenance is high on our list of priorities, and our technicians spend time with maintenance departments, assisting with technical information as well as daily and weekly machine checklists. Greatwest Maintenance also offers a preventative maintenance program with customized service visits. We provide monthly and quarterly PM services or any time frame that suits your needs. A single technician will be assigned to each account allowing for familiarity with the equipment. They will perform regular checks, inspecting all aspects of safety, keeping your units up and running with very little down time. Greatwest Maintenance draws on extensive industry specific experience, and an online computerized parts system. With worldwide parts sources, we can identify and locate uncommon and specialty parts quickly and efficiently. We have a large stock on rubber tires, poly wheels, LPG components, battery components, and other accessory items. 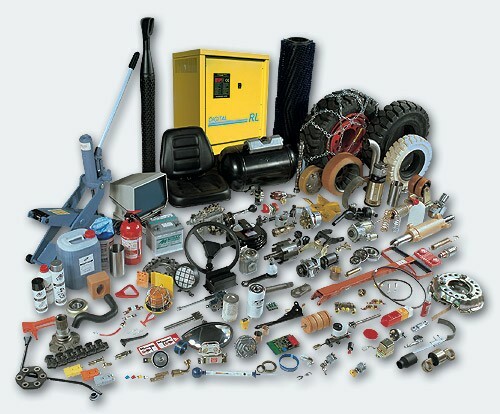 Greatwest Maintenance also has a large variety of used and exchanged parts, as well as electric motors.